This beloved country rocker has shared some of the biggest news ever – and one that we didn’t see coming! Everyone’s favorite “Jack & Diane” hitmaker, John Cougar Mellencamp, has come forward with a public announcement of his engagement to a Hollywood actress all of you already know! 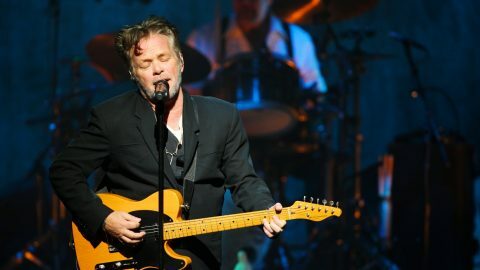 Mellencamp, who has been called “the most important rocker of his generation” has scored hits in a seemingly-endless list of genres with songs that have achieved success often only dreamt of by an artist. Many of his hits are instant classics – and most are considered to be an important part of any self-respecting music lover. John Cougar Mellencamp has inspired many artists and even made such an impression on superstar Keith Urban that he name-checked him in a song expressing how great of an influence he had. Now, the 67-year-old Indiana native is getting ready to ink the next chapter of his life with someone incredibly special to him! In a recent post on Instagram, his off-and-on-again girlfriend of more than half a decade confirmed that the pair had officially gotten engaged! The two have been close for years and back in 2011, they dated for a period that ended in 2014. Following that, they were on-and-off for several years until last summer when they had reunited and began dating again. Now, they’re headed to the altar together! We are so happy for them! Congrats to the happy couple!